Welcome to your Pacific Adventure! 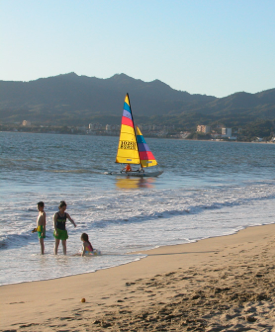 AventuraPacifico.com is dedicated to helping you enjoy a wonderfully relaxing stay in Bucerias (“Place of the Divers”), in the heart of tropical Pacific Mexico. We provide casual, comfortable accommodations in a charming, authentically Mexican setting, just two short blocks from the best beach on the entire Bay of Banderas. If your preference is to simply relax during your stay, sit up on the rooftop terrace and drink in the spectacular Pacific sunsets, or lounge by the pool and read, or even check your email and make no-charge VoIP calls to the US and Canada on our free wifi network. 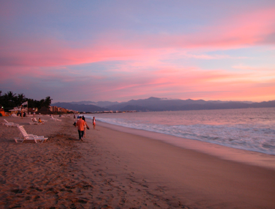 The safe and friendly town of Bucerias is lovely for local walks, and the heart of vibrant Puerto Vallarta is just half-an-hour away. 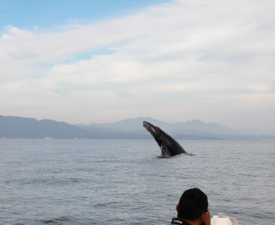 Many compelling adventures beckon in the area, from whale-watching to zip-lining, to nights on the town featuring culinary delights, classical and contemporary concerts by the sea, and salsa dancing to the wonderful live music that the area is building a burgeoning reputation for. We look forward to helping you discover this slice of paradise by the sea on your very own Aventura Pacifico (Pacific Adventure) in tropical Mexico. 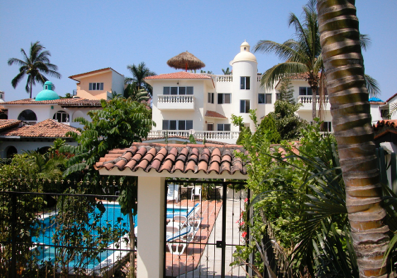 TOWN Bucerias, heart of the Riviera Nayarit. CoMFORT Relax in the Aventura Pacifico style. Beach Best on the bay, miles of golden sand. Welcome to Your Beachhead in Bucerias!